We’re delighted to begin the new semester with the publication of Issue 2 of the Journal of British Identities! The second issue comes to press in some of the most momentous weeks in recent British political history. As Westminster decides what to do next after rejecting Theresa May’s plan for Brexit (the so-called ‘meaningful vote’ of 15 January 2018), we present a special issue of JBI on ‘Borders, Boundaries and Brexit: Perspectives on British Identities in an Uncertain World’. This issue of JBI contains writing in a number of different formats and genres and from a wide range of disciplinary backgrounds. In the week where the fallout from one Referendum is still being played out, we begin Issue 2 with reflections on the afterlife of an earlier one, the 2014 Scottish Referendum. Elizabeth Ritchie’s photo essay explores the visual and material culture of IndyRef, focusing on how the plethora of ‘Yes’ campaign stickers, posters, displays and other referendum ephemera re-politicized the Highland landscape, challenging recent aestheticizations of the region’s ‘wilderness’. Russell Jones, the UK’s first Pet Poet Laureate, has written a set of poems reflecting on the meanings of Brexit and placing it in the context of recent British political and cultural history. Then, Will Sadler, a film-maker from the north east of England, analyses the effect of Brexit on this part of the UK, offering a personal reflection on how Brexit has shaped his sense of identity and how there needs to be a profound constitutional revolution in British politics to resolve this political crisis. We conclude Issue 2 with David Robinson’s analysis of British perceptions of Italian domesticity during the early nineteenth century, an important reminder of the longstanding interconnections, disputes, misunderstandings and interpenetrations between Britain and continental Europe. We hope that you enjoy reading Issue 2 of JBI and we look forward to further exciting and fruitful public conversations about British identities in the future – however chaotic and unpredictable that might seem during the dog days of Brexit’s endgame. Our third blog post in the ‘What do British identities mean to me?’ series comes from our MLitt British Studies student Lynne Mahoney, who lives in the Highlands and is the curator at Historylinks Museum in Dornoch. ‘O wad some Power the giftie gie us To see oursels as ithers see us!’ Robert Burns words in To a Louse remind me that we rarely see ourselves as other see us. Thinking about how we view ourselves as Britons and how the rest of the world sees us is a startling prospect. Wondering what British identity means to me specifically felt like an enormous challenge. So, I asked myself some questions. Do I, as a British person, often think about my identity? Well, I like roast beef and Yorkshire pudding and rhubarb crumble. I would wave a Union Jack along with the rest if I saw the Queen trotting along The Mall. I used to stand out in the pouring rain spinning my rattle and drinking my Bovril at half time during the football season. I have sighed deeply while walking beside the daffodils that line the banks of the River Cam while watching the punts gliding by. Does this mean I am British? Does this mean I am English? Not really, lots of people of other ethnic groups indulge in British and English culture all the time. I do think about being British when I go abroad and wonder how others see me. It is when I can’t speak the language or, depending where I am, clearly standing out due to my burning skin and big floppy hat. It is when I don’t want people to get the wrong idea about the ‘Brits’ and hate that they might think we are all hooligans and lager louts. So, am I ashamed to be British? No, not at all. I just don’t want people to get the wrong impression. I think about being British when I am driving on the left-hand side of the road in a right-hand drive car. On a holiday to Spain some years ago I remember looking for Heinz tomato soup in a supermarket to appease my child. I think my Britishness is rather clichéd when I am abroad and that makes me feel self-conscious. Am I British because my ancestors were British? It’s true, as far as I know and as far back as I can go, my ancestors were all straw platters working for the hat trade in Luton. Straw boaters, a very British hat indeed. British or English? There’s the rub. The ones who weren’t straw platters were agricultural labourers. My Englishness is tangible; my family have worked English soil for generations. Yet, am I any more British than the person who has had Britishness foisted upon them? Can I claim to be more British than the people from other parts of the world that were swallowed by the British Empire. I think the answer is no because although I can trace my family back to the early eighteenth century it is more than likely that they came from somewhere else. In the end, it seems, everybody comes from somewhere else. As a child my English heritage did not occur to me because I grew up in an area that was predominantly white, with families who had, like me, ancestors deeply rooted in the Bedfordshire countryside. I therefore saw myself as English and people who were a different colour or ethnic origin as ‘other’, although I could not articulate that at the time. When a Scottish family moved in locally they were white but culturally different and so also ‘other’. By the time I got to secondary school my circle of friends had begun to widen and included Indian, Italian, West Indian and Scottish people. I recognised them all as British but also as exotic. Am I British or English in Scotland? I moved to Scotland when I was 24 and I am now 53 so clearly I have lived in Scotland longer than I lived in England. In my view my accent has not changed. According to my family it has. I use Scottish words and phrases and they notice that the intonation of my voice has changed. I am married to a Scot, I live on a Croft and have a child with a Highland accent. To those who knew me when I lived in England it is me who is now ‘other’ because I have moved away. In Scotland, despite the fact that I am immersed in Scottish culture far more than I ever was in English culture, I am still identified by my English accent. The conclusion I have come to is that, for me, the question of British identity can be confusing and misleading, fraught with the pitfalls of believing what Linda Colley calls ‘bad history’. Yet, as children we can only build our identity on our cultural background, what we learned at school and how our parents viewed the world. As an adult, my identity became more fluid and I could see myself as part of a bigger picture. It was possible for me to view England from the outside, putting into perspective the paradoxical and complicated relationship it has with the rest of the Union. Austria vs. Great Britain – What do British identities mean to me? Our second blog post in the series ‘What do British identities mean to me?’ comes from Daniela Vordermaier, who joins us from Austria. It was a regular Saturday afternoon in a Scottish supermarket, when I first thought about British mentalities and the differences between manners and behaviours in the United Kingdom and my home country. People step aside when someone tries to reach for a product, nobody would ever jump a queue and the cashier greets you by asking how you are doing. It was the perfect opportunity to remember all the perceptions of polite, friendly and likeable British citizens that are taught in Austrian schools, universities or in everyday life. But what can be summarized by the term British identities? What is part of a special British way of communicating and thinking? First of all, the expression British identities is composed of two terms and contains a question about the nature and characteristics of identity itself and about the meaning of Britishness. The term identity is widely used and can concern people as well as objects declaring the sameness and consistency of characteristics. In this blog post identity is perceived as a sociological category that is defined by a set of personal characteristics such as age, class, gender, education, religion and moral values, language and culture. These contribute to a collective or individual and personal comprehension of who someone is or what someone is like. They are more or less fixed or can change from time to time depending on societies’ standards and regulations. Because of this, people tend to have multiple identities such as a religious, cultural or national ones, bound to educational backgrounds. In contrast, the adjective British seems more secure at first sight. But it refers to the national belonging of a person as well as to the cultural environment they are part of. Which tribes, folks or populations were counted as British was equally a subject of change over time and varied from Welsh, Northern Irish, Scottish and English. Besides, it must be considered that there is a big difference between the identification by others or by oneself. This could especially count for many smaller groups, who do not consider themselves as Welsh, Scottish or English even if they live in the United Kingdom. In addition, there might exist special British behaviours and manners outwith Great Britain in the former British colonies where people adapted to the local rules and traditions but mixed them with customs performed in the country of their ancestors. Therefore, there cannot be only one way of feeling and declaring oneself as British as Britishness does not have to be connected with a geographical region but more with self-definition and personal attitudes. Proceeding from this understanding of the term identity and the adjective British, the expression British identities as a social and sociological category is, in my opinion, related to special mannerisms and personality traits of people living in the United Kingdom and other countries influenced by British traditions and behaviours. As I do not have any British ancestors and cannot consider myself as British, I see these identities from an outsider’s perspective. Focusing on the cultural aspects of mentalities, I look for differences between my home country Austria and Great Britain. For me Britishness is connected with friendliness, politeness and openness with other British citizens as well as for foreigners. It could be characterised with a great sense of humour, calmness and poise even in difficult or complex situations where an Austrian would already have given up or lost one’s trust in finding solutions. Another factor that distinguishes the inhabitants of Great Britain or the United Kingdom completely from Austria is the pace of life. While there exists a kind of competition about finishing education, carrying out jobs or holding personal meetings as soon as possible in Austria, the British keep on focusing and avoiding high stress levels in order to enjoy, live and feel free. Because of that, the way a British citizen communicates might differ strongly from the Austrian standards as they take more time to dive into topics, are more interested in their surroundings and more aware of their cultural heritage. But there is much, much more than that contributing to a typical British way of living and acting regarding to localities and individual cultural backgrounds. Therefore, I hope that I will have the chance to expand my so-far made experiences within the following months. James D. Fearon, What is identity (as we now use the word)?, https://web.stanford.edu/group/fearon-research/cgi-bin/wordpress/wp-content/uploads/2013/10/What-is-Identity-as-we-now-use-the-word-.pdf, accessed 11 / 09 / 2018, p. 7. Paulus Stanislawa, Geschlecht Kultur Gesellschaft vol. 5: Identität außer Kontrolle. Handlungsfähigkeit und Identitätspolitik jenseits des autonomen Subjekts (Hamburg: LIT, 2001), p. 108. Francis W. Deng, War of Visions. Conflict of Identities in the Sudan (Washington D.C.: The Brookings Institution, 1995), p. 1. Karina V. Korostelina, ‘Cultural Differences of Perceptions of the Other’, in Daniel Rothbart and Karina V. Korostelina (eds), Identity, Morality, and Threat: Studies in Violent Conflict (Lanham and Plymouth: Lexington Books, 2006), p. 165. Paul Ward, Britishness since 1870 (London and New York: Routledge, 2004), p. 142. What do British identities mean to me? We continue the academic year with a series of blog posts by our new student intake on the MLitt British Studies at the University of the Highlands and Islands. Our first blog post comes from Gabriella Cabassi, who joins us from Italy. British identities to me represent the main traits, traditions and aspirations of the citizens of each one of the four countries that make up the United Kingdom. My concept of Britain has been shaped mostly by what I know about the history of Ireland, so I guess this is what brought me to identify it more with a place of conflict and dissent than a unity of fellow countries. But is it really so hard to find some common features between nations who share such an intertwined past and if I did, would that make it easier for me to understand what Britain is? I am an Italian who has almost always lived in Italy, therefore I do not have any direct and personal experience of Britishness in everyday life. I am a supporter of the European Union and I feel a sense of belonging to Europe rather than to my home country. I should logically and readily accept that another and much more well-established union, the United Kingdom of Great Britain and Northern Ireland still exists to this day. Yet it feels different. The English created their Empire by conquering other countries and annexing them to it. Wales and Ireland were the first targets of this colonization. Am I prejudiced against Britain because I feel the Union was violently imposed by the English and this makes it bad, an unfair intrusion? Well, no, because that is not what happened. The Union came about out of financial necessity for the Scottish government and to avoid further unrest in Ireland. Is it because they were somehow forced to conform to the English way of life? The differences between the countries of the EU in terms of traditions, attitudes, habits, down to simple things such as food and clothing, are necessarily deeper than those of the British Isles. Surely their people tend to have similar characteristics and more in common than a Finnish and a Spanish. Yet they all distinguish themselves for their own peculiar features and strive to maintain elements that belong to their unique culture and heritage. An example of that can be that the three Celtic languages are still alive and lawfully given equal status as English, although they are not nearly as meaningful in the number of speakers. Or the fact that each national church represents a different Christian confession. Maybe I feel that Westminster has too strong a grip on the other three countries and that England still rules when it comes to fundamental decisions. Northern Ireland, Scotland and Wales were granted forms of devolution over time, but they are still not free to decide for themselves in important respects, such as foreign affairs or defense. The result of Brexit for example forced three nations, the majority of which had voted to remain within the European Union, to leave. As a matter of fact it was the United Kingdom as a whole which entered the EU, so it was only fair that the majority of the same league of nations could, given the possibility, decide to exit it. I do not see a British identity, only British identities, those of four, interconnecting, yet separate entities. Four nations, with England being the most powerful and the receiver of much of the annoyance and blame. In his essay ‘Unravelling Britain, Samuel considers the term British ‘multi-ethnic and therefore more able to acknowledge the emergence of a multi-faith, multi-cultural society’ when compared to English. The Guardian’s article ‘Let’s not make a fuss: 10 things that sum up Britishness’ explains how its readers defined it as ‘an inclusive umbrella term to cover a multitude of backgrounds’. Probably that is the definition that will help me look for the unifying sense of belonging to Britain felt by many inhabitants of the British isles (and its citizens in the rest of the world). In conclusion, I do not think I am currently equipped to comprehend what Britain is, apart from a geographical and legal concept, and I am not aware of how the British identities can unite British people instead of dividing and distinguishing them. What I like the most about the EU is actually how every country maintains its diversity while trying to build a common house; ironically I might find in the affinities, which I am currently unfamiliar with, the way to grasp the idea of Britain as the super-nation many people are proud of. We begin the new academic year with a throwback to the last – a wonderful talk by Professor Matt Houlbrook at our Centre for History annual Postgraduate Research Event in June 2018. Here, Matt talks about how individuals made sense of changing notions of personality and identity during the 1920s, using material from newspaper beauty, character and personality competitions. We’re delighted to publish a series of blog posts written by MLitt students at the Centre for History, University of the Highlands as part of their coursework for the module ‘British Identities’. This week, Susan Church examines the complexities of Englishness. On the Blackwater estuary, sits the small town of Maldon and its port, the Hythe. Here at the end of a promenade, looking seaward is the statue of Earl Brythnoth. Over a thousand years ago, Brythnoth with his small army and questionable tactics failed to repel a Viking invasion, resulting in occupation and payment of Danegeld. Does this statue inform in any way about ‘Englishness’? It certainly represents one of the key moments when two of the many ethnic strands of English identity were irretrievably joined. But it also highlights how ethnicity hinders any attempt to define Englishness; the English are mixed, “the product of successive invasions from all over Europe”, not to mention immigration from empire. Englishness cannot be tied to ethnicity because there is no English ‘race’. The English language is no help either; it is synonymous with the whole British World and beyond; the English no longer have ownership. So, is Englishness, like Britishness, a convenient, overarching political construct? Perhaps not; from 1537, the Book of Common Prayer, referred to ‘this Realm of England’ so England’s borders, although at times fluid and contested, are old. The unique ‘water land’ of East Anglia, Colley has suggested, exhibited a ‘peculiar separateness’ from the rest of Britain – at least until 1914. It’s an interesting observation and highlights the challenge of compressing a multiplicity of identities into a single English national identity. Kumar however sees no muddle or need to reconcile, but suggests that Empire caused the English to suppress any strong sense of national identity; Englishness was considered anti-imperial. So perhaps Englishness is subtle, ‘a rather shy and reclusive bird’; rooted at regional and local levels, gelling into something that is felt and lived rather than constantly articulated – football matches excepted! And could it, as Orwell implied, reside in ‘difference’? Indeed, difference is naturally imposed by the sheer variety of geology, landscapes, towns and villages, crammed into a small country. It is visibly manifested in traditional building materials; flint knap, London Brick, Bath, Cotswold, York, and Portland stone are not just markers of place but of difference. Pevsner acknowledged this as he sought to understand Englishness through architecture. Some aspects of regional/local identity – Cockney cheerfulness, Mancunian work ethic, Lancashire reliability, Yorkshire stubbornness – have been projected as English characteristics. So, despite being complex, ‘problematic and varied’, ‘difference’ embedded in local identities and regions, can provide ‘building blocks’ for Englishness. Individualism and the toleration of eccentricity appear integral to ‘difference’. Young suggests that the English dare to be themselves rather than “conform to the uniform demands of a collective identity”. This in part would help explain (but not excuse) some of the more peculiar English traditions; Norfolk dyke jumping, Gloucestershire cheese rolling, the Maldon Mud Race and playing cricket on Bramble bank in the middle of the Solent – at low tide of course! But people relocate. Populations change in ethnicity. If ‘difference’ is the key to Englishness then it must accommodate change – after all the English are not a ‘race’ but a people. How does Englishness cope with such changes in its ‘differences’? Young posits the idea that Englishness has a sheer indifference to difference although those who have experienced racial discrimination might not agree. If national identity is about self-recognition, then the statue of Brythnoth is a reminder that perhaps Englishness includes an acceptance of the heavy baggage of history. It is as much about where a person resides as where they are from; ‘a feeling, a sentimental attachment to territory shared by like-minded people’. It’s also about acknowledging difference (or indifference) and being able to look ‘forwards and back in order to embody both the living and the dead’. When radio presenter James O’Brien had one of his numerous discussions over Brexit with a listener and tore down every single argument of the Brexiteer concerning migration and the economy, the English caller at last resorted to his ultimate line of reasoning as to why Great Britain should disentangle itself from an increasingly unified Europe: ‘Well, we used to rule two thirds of the world.’ Peeling off the layers of Brexit arguments leaves at its core a nostalgia for an empire which a considerable part of the British population only grudgingly relinquished. 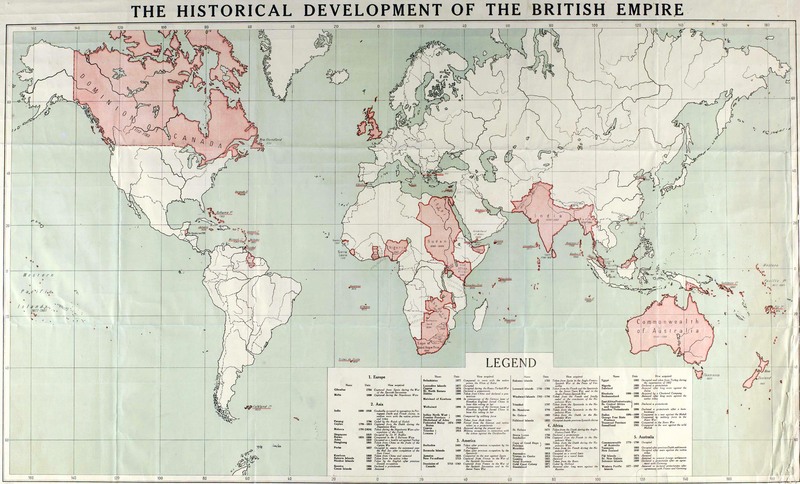 The British empire never was ‘two thirds of the world’, but at its maximum Great Britain still ruled over an impressive one fifth of the total world population. The notion of once governing an empire in which the sun never set, is one Britons, and especially the English, like to hold on to, which is exactly what a poll in 1997 confirmed. Sixty per cent of the respondents admitted to feelings of wistfulness when it came to Britain’s lost empire. John M. MacKenzie wrote in 2008 that the English had found it hard to adjust their thoughts of ‘effortless cultural and imperial superiority’ in the post-imperial age. The result of the 2016 EU Referendum – when 51.9 per cent of the British electorate voted to leave the European Union – seems to validate that statement. Linda Colley – in her book Britons – argued that a common interest of Britons following the Union of 1707 was trade. But if investment and mercantile interests acted as a cohesive force binding the four nations together, it was the empire that was at the centre of Great Britain. When that empire started disintegrating, Britain turned to its closest neighbours, the previous ‘Other’, the European continent: a trade market of millions of people. But the European Economic Community was precisely only that: an economic community. The 1975 EEC Referendum was won by a large margin. Nearly 70 per cent of the English population voted in favour of trade, or in the prophetic words of E. P. Thompson: for ‘freedom to travel, trade, and sell one’s own labour’. What they did not vote for – as one Brexiteer wrote to the Independent – was ‘the Union’. The European process of integration and cooperation not only undermines an innate sense of distinctiveness, but acutely clashes with the thought of once again heading a wave of ‘Anglobalisation’. The economic aspect of the European Union, therefore, is inferior to the English dream of a return to its former glory. The European Union constitutes the second largest economy in the world, and within the EU, the United Kingdom was/is arguably one of the main economies. Great Britain is a major player within the EU. But the country is not the only one steering its course. For some this situation is untenable. The more the EU breaks down borders and creates a multi-cultural society, the more evocative memories of Britain’s past empire become. This former glory, however, has changed and is now part of a world where trade is limited by strict rules, tariffs and quotas, and where every country guards its own interests. To secure beneficial deals with Commonwealth countries, more may be required than an eighteenth-century map of the world and/or recommissioning the Royal Yacht Britannia. L. Colley, Britons – Forging the Nation 1707-1837 (New Haven, 2014), p. 329. K. Kumar, ‘Empire, Nation, and National Identities’, in A. Thompson (ed. ), Britain’s Experience of Empire in the Twentieth Century (Oxford, 2012), p. 2. J. M. MacKenzie, ‘Irish, Scottish, Welsh and English Worlds? A Four-Nation Approach to the History of the British Empire’, History Compass, Vol. 6(5), p. 1255. E. P. Thompson, The Making of the English Working Class (London, 1963), p. 79. Kumar, ‘Empire, Nation, and National Identities’, p. 9. We’re delighted to publish a series of blog posts written by MLitt students at the Centre for History, University of the Highlands as part of their coursework for the module ‘British Identities’. First up, we have Irene Innes reflecting on her own sense of identity and how this has changed in intriguing ways over time. Linda Colley’s analogy of identities and hats is so persuasive I decided to focus on my personal ‘history’ to see if her claim could apply to my life and identity. My intention was to consider the ‘hats’ I wore as a child and those I wear now in later life, my ‘academic’ hat, hopefully, assisting with the analysis of ‘me’. Born and bred in Glasgow, with a Scottish accent, having a Scottish surname, belonging to a clan, occasionally wearing a kilt, and being allowed to stay up for ‘the bells’ at New Year, I certainly felt Scottish. However other factors were at play such as schooling and education. A Glaswegian accent was discouraged, lessons were from a ‘British’ perspective and the schoolroom was adorned by a large map of the British Empire, later the British Commonwealth of Nations. It was satisfyingly pink. My affinity with the ‘pink’ nations never faltered in spite of the niggling question ‘What happened to the original people who lived in those lands?’ My Britishness experienced a slight wobble. The monarchy was a powerful symbol of ‘Britishness’, exemplified by the post-war wedding of Princess Elizabeth in 1947, the death and funeral of her father in 1952 and her subsequent coronation. The wedding dress, displayed at Glasgow Museum and Art Galleries, was embroidered with the rose, thistle, shamrock and daffodil, the symbolism evident and, to a child, effective. Another factor in my ‘Britishness’ was the war, illustrated by Hobsbawm’s notion that ‘there is no more effective way of bonding together the disparate sections of restless peoples than to unite them against outsiders’ My restlessness occurred when bombs whistled down on Glasgow and Clydebank, and when the Nine O’Clock News, opening with the sonorous peals of Big Ben, announced they were also dropping on London, Cardiff and Belfast. We were all in it together! The National Health Service, introduced in 1948, was another unifying force, this time, a beneficial one. Another factor complicated matters. My mother was Irish, and pro-Unionist. Was I doubly British, half-Scottish, half-Irish? I decided on a ‘pick and mix’ approach, having the power to choose. This power to choose identity came into question during the war as the father of an Italian friend was threatened with internment, despite having fought for Britain during the First World War. If being resident in a country, and having fought for it, did not bestow citizenship did that mean ‘identity’ was associated with blood-line? Alternatively, was it within the remit of politicians and dependent upon the expediency of the time? My concept of identity changed in adulthood as the nuances of class, religion, politics and gender added to the mix. I lived in Yorkshire, my Scottish husband being attached, ironically, to the Inniskilling Fusiliers based in York. Assimilation with Yorkshire people came easily and I felt I was accepted into their society. Church of Scotland attendance became that of the Methodist Church and Christmas was celebrated more generally than New Year. Pubs abounded and not predominantly for a male clientele. Alas, cricket was the main sport. Assimilation however did not change my identity, which remained Scottish/Irish/British. Englishness was a step too far! Back in Scotland factors that had reinforced my British identity altered over time. Britain, loosening ties with the Commonwealth, joined the European Economic Community, later the European Union, and Germany, once the enemy, was now a fellow-member state. The Scottish National Party grew in strength and Devolution gave greater powers to Scotland, including those of Health. New universities came into being which, combined with the internet, increased access to knowledge, and the rigidity of class structures began to break down. I felt I was open to change as my childhood identity became less pronounced. However, a seminal event revealed just how confused, and conflicted, my identity is, and that was the Commonwealth Games in Glasgow. As the teams entered I identified with Scotland, Northern Ireland, England, Canada, (my Irish relatives emigrated), and the countries from my ‘pink’ map of long ago. When ‘Freedom, Come All Ye’, from an anti-Imperialist song, was emblazoned on the vast screen and Alex Salmond gave the opening speech I was stirred by the former and gave due respect to the latter. When the Queen arrived I sang the National Anthem with enthusiasm. My ‘hats’ were many and varied, some harking back to the little girl in Glasgow and some adjusting to the new reality of twenty-first-century Scotland. A final irony. Colin Kidd, describing the British Constitution, used the analogy of dark matter in the universe – ‘present but unseen’. I recently researched the means to obtain an Irish passport, fearing the potential outcome of Brexit, and found, to my great surprise, that I have been an Irish citizen all my life! I must dust down that Irish hat! Linda Colley, Britons: Forging the Nation 1707-1837 (New Haven: Yale University Press, 1992), p. 376.